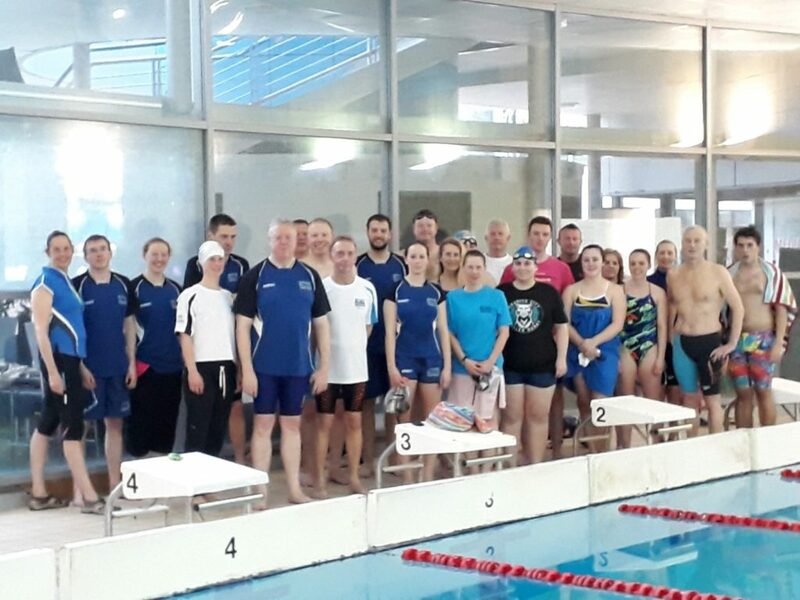 Silver City Blues Masters – Silver City Blues(SCB) Masters Swimming Team Club, located in Aberdeen, Scotland. Training at Aberdeen Sports Village (ASV), Robert Gordon University (RGU), Bucksburn and Tullos Swimming Pool. Affiliated with Scottish Swimming and Aberdeen Sports Council. On Sunday the 10th of March, Silver City Blues took part in it’s first Inter-Continental Dual-Meet with Grand Prairie, Alberta, Canada. 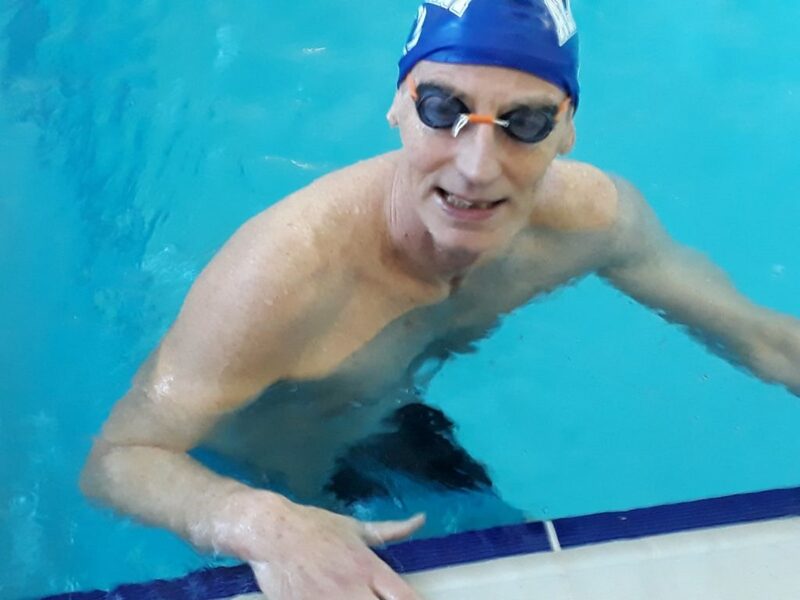 An idea thought up by Bill Nash of the Grand Prairie Club to enable his swimmers to compete in real-time against other clubs without having to travel to location. It was the intention to also broadcast the meet at each location over Skype however due to technical issues this was not possible, something to work on for the future. Meanwhile, back in Scotland, SCB took to the RGU pool with our friends from Banff & Buchan to compete in either the 50m Freestyle, 200m Butterfly, Backstroke, Breaststroke and Freestyle and also 400m Individual Medley. 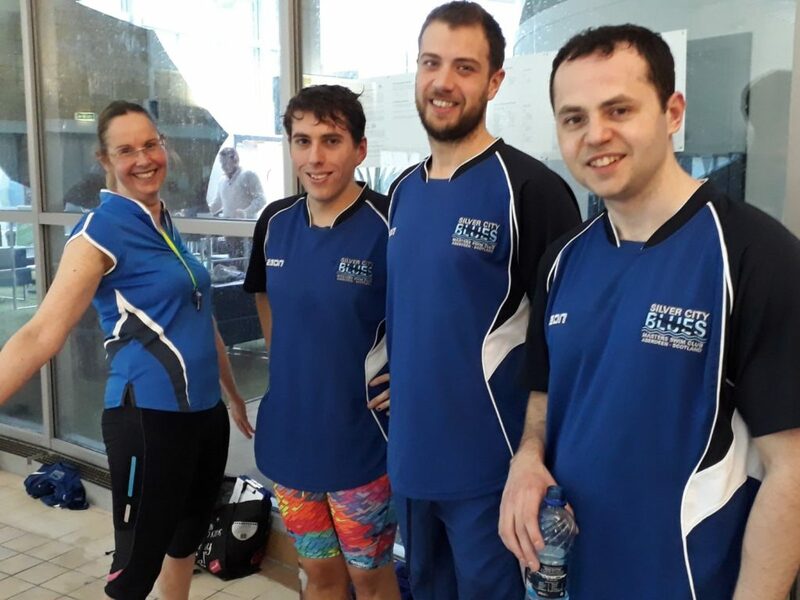 There was excellent swims by all and the meet provided our swimmers the opportunity to gain the experience of a race situation in an event that they would otherwise not swim competitively. 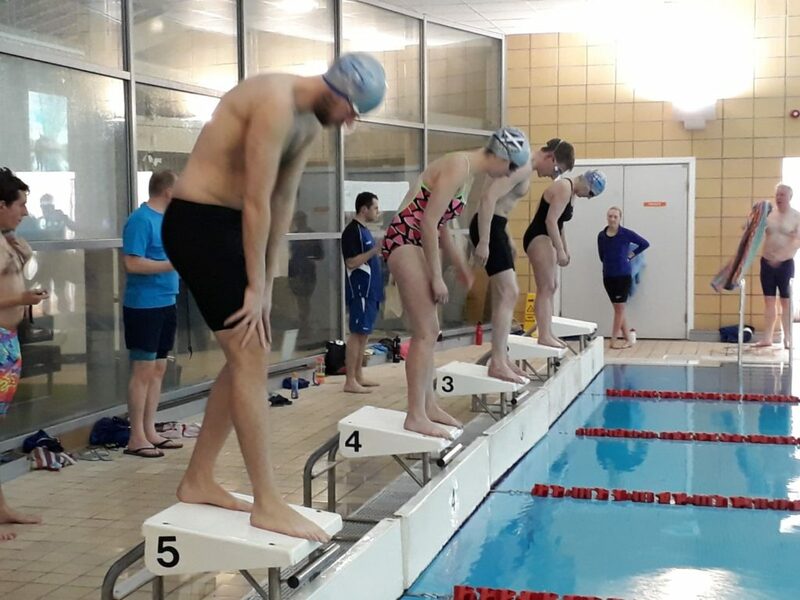 It also presented an excellent opportunity for our swimmers preparing for the Scottish Masters Championships. Some notable times included Audrey Cooper’s 400 IM which on paper was inside the European Record and Bill Reid’s 200m Breaststroke which is was a clear margin inside the Scottish Record, looking forward seeing these guys in action later in the year. To add some competitiveness to the meet Brian Bain proposed that for each event, points be up for grabs for the best swimmers in each event. Better still, in order to open the meet for the inclusion of all, times would be age adjusted using the recognised correction formula. The final result from the meet was 367 points to SCB and 251 points to Grand Prairie. 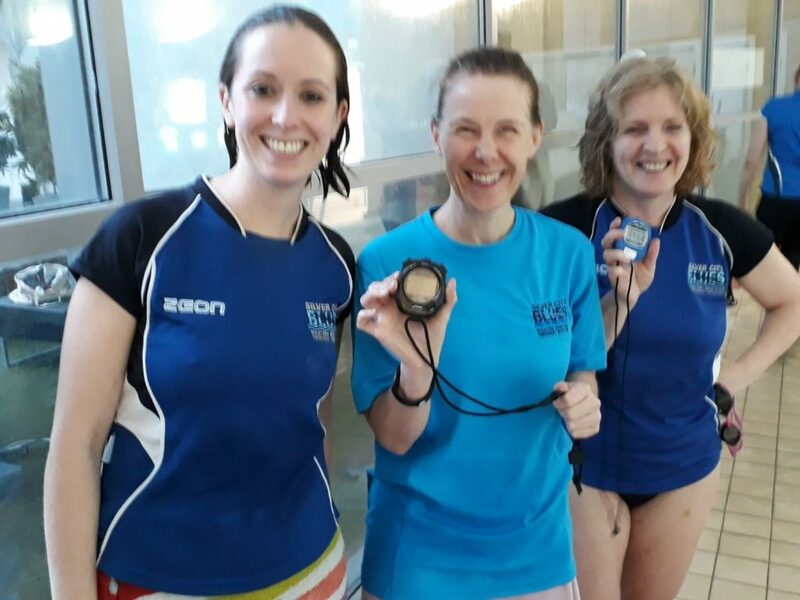 In all a fun, friendly and relaxed setting was enjoyed by all with even Banana Loaf and Tray Bakes on offer as reward for a swim well done. We would like to thank the Grand Prairie team for inviting us to take part in this event, we look forward to further events in the future. Written by Brian Bain on January 22nd, 2019 January 22nd, 2019 . Written by Brian Bain on January 15th, 2019 January 22nd, 2019 . Written by Brian Bain on July 10th, 2018 . Written by Brian Bain on May 2nd, 2018 May 3rd, 2018 . Continue Reading The Late Late News!